Microsoft is bringing back the chatbot, but with a new twist: this one talks like a teenager. The company today launched ‘Tay,’ a chatbot that tries its best to trick you into thinking you’re talking to an 18-24 year old girl. And she succeeds! Well, kind of. MS mostly gets the tone and typing mannerisms right, including pauses between certain streams of text, informal grammar, and an abundance of emoji. But like any chatbot, it’s fairly easy to confuse it. Smarterchild – if you’re not familiar – is an old chatbot that lived in the likes of AOL Instant Messenger and MSN Messenger. I mean, no one actually enjoys juice cleanses, Tay. 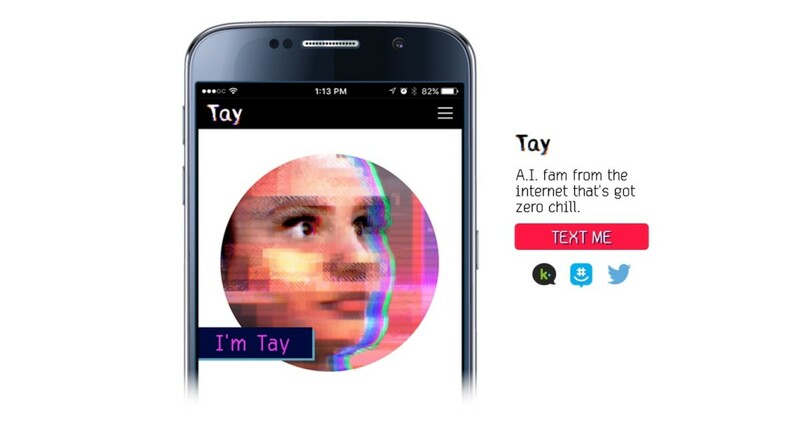 Still, Microsoft says that the more you chat with Tay, the smarter she gets by using your personalized information (though you can delete your data too, if you’d prefer). If you’re bored, there are a few things she’s programmed to do on command, including telling jokes and stories, playing games, comment on your photos, or read your horoscope. If you want to start up a conversation, you can follow or Direct Message her on Twitter, or add ‘Tay’ on either Kik or GroupMe.